searching your disk for files that you can safely delete. Disk Cleanup is a maintenance utility included designed to free up disk space on a computer's hard drive. The utility first searches and analyzes the hard drive for files that are no longer of any use, and then removes the unnecessary files. Disk Cleanup can delete Temporary Internet Files (associated with Internet Explorer), Downloaded Program Files, and Offline WebPages. Disk Cleanup also allows you to empty the Recycle Bin, delete Temporary Files, and delete Thumbnails. PC MAGIC comes with a Disk Cleanup utility that is designed to free up disk space on a computer's hard drive. The utility first searches and analyzes the hard drive for files that are no longer of any use, and then removes the unnecessary files. 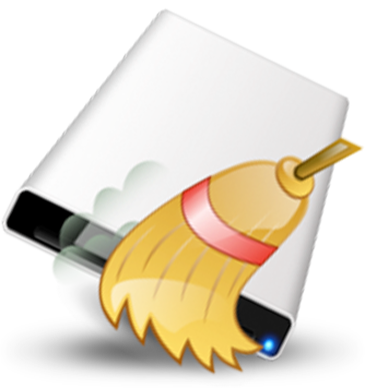 Disk Cleanup can delete Temporary Internet Files, Compressed old files, Temporary windows files, downloaded program files, recycle bin content, Setup log files, Thumbnails and Offline web pages. Aside from removing unnecessary files, PC MAGIC’s Disk Cleanup utility also allows users to have the option of compressing files that have not been accessed over a set period of time. This option provides a systematic compression scheme. Infrequently accessed files are compressed to free up disk space while leaving the frequently used files uncompressed for faster read/write access times. If after file compression, a user wishes to access a compressed file, the access times may be increased and vary from system to system. Our disk cleanup utility is 100% free for 30 days, start the trial now and download pc magic disk clean up utility to optimize you windows pc.